This week I had the pleasure of interviewing LuLu Starbrook. She is in the group so when you see her give her a big hello! I’m from Michigan, and I actually found out about SL through my job in an academic library. At first my exploration was to see if SL would be useful as a learning platform. It didn’t take long before I got hooked on the social aspects. I can’t believe that I’ve been in SL for over 9 years! 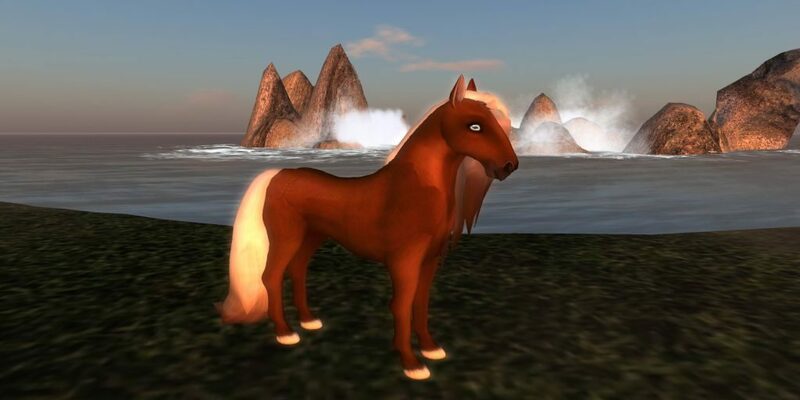 I was wandering around a breedables market in 2010 and saw the beta for Amaretto horses. I couldn’t wait until they became available. It was total chaos when the first horses came out. I missed the server meltdown, though, because I was at work. Yes, I’ve owned a lot — Champion horses, ABC horses, KittyCatS, Ozimals, Dodos (almost forgot about them), Meeroos, Mystics. 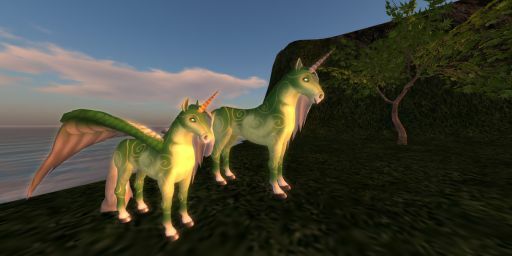 I recently got my first glitter horns, so I’m adding them to my Imagination Emeralds; Molten Roan Gold’s and Silver’s. I just got my very first crazed — Rainbow Crazed Coat Into The Wild Zebra! No special projects right now. I like dancing and attending live concerts. I used to enjoy modifying prefab houses, but I rarely have a house now, because I need the prims for my breedables! Thank you LuLu for letting me interview you for this week’s blog. I have included some pictures of LuLu special Amaretto Breedables.